Tree service is not an uncomplexed activity. When you plan tree pruning, many factors needs your consideration. Before moving to the effectiveness of professional services in pruning, it is important to discuss the use of tree pruning. If done correctly, tree pruning can be very beneficial for the landowners and the environment as well. The three reasons mentioned below will help you understand the importance of tree pruning. Ever noticed how huge trees can block the view of sign hoarding outside a retail store? Such trees often block the good sight lines for traffic thus, affecting your business. The property or business owners should get the trees pruned regularly to be sure that the money they have invested in such business marketing is not wasted. Or the important signs that property owners have placed should not go unnoticed. According to the ANSI A300 Standards, huge trees can be trimmed up to 30% of the overall height of the trees. Best Management Practices provided by the International Society of Arboriculture also help to execute the procedure efficiently. Many times, trees are planted very close to the buildings. But, a good practice is to leave at least a 5 to 10-foot gap from the peripheral part of the buildings. It is advisable that the trees residing close to the buildings should be pruned by “180 degrees”. In such a way, landowners can attain long-term reduced costs of maintenance. In cases that the tree is gigantic (over 50 feet), the risks of lopsided tree increases. To be sure that this does not happen, one should regularly engage in tree pruning exercises on a tree-by-tree basis. Once you have created ample of space near your buildings, the next task revolves around planning up a good space for your parking. By pruning the trees near the parking lot, you can create space to accommodate your cars. This process is executed to trees with a height of 8 to 13 feet but as per A300 pruning standards, one should keep in mind that it does not exceed 30% of the tree’s total height. Long trees need pruning off of the branches as these can cause hindrances to large vehicles like pickup trucks, vans or trailers. Now that you have a fair understanding of the importance of tree pruning, you should also know the need to hire professional services for the same. As stated earlier, it is not easy to prune a tree efficiently. There is a perception amongst people that just by using heavy shears, trees can be brought to proper and desired shape. But, it might be not well known that if a tree is pruned more than 30% of the foliage, the food producing capacity of tree can be affected as the structure becomes fragile. Thus, hiring professionals to prune the trees can ensure that you get a clear space without impacting the environment. The professional services also provide tree and stump removal services with utmost care to the property. 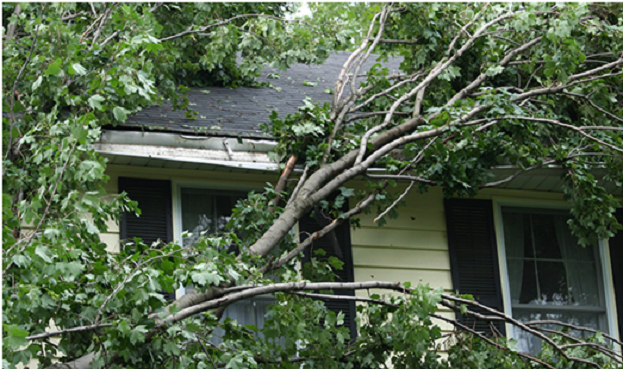 The experts ensure that falling branches or large trucks do not damage your property. These professionals have adequate machines that are useful for instant grinding of the stump giving space to new plants and flower beds. Looking for professional tree services for your space? Call us @702-433-4700. The expert services provided will inevitably reduce your burden of maintaining cleanliness around your building.